Airbus has predicted that it will regain the pole position in the market for commercial planes by 2020. According to a top executive of the aircraft maker, Airbus will achieve its goal by outproducing Boeing, its U.S. rival. Fabrice Bregier, the chief operating officer and president of planemaking at Airbus, said that the prediction was informed by the fact that the European firm posted higher orders as well as deliveries last year. The last time Airbus was in the leading position was seven years ago. Per Bregier, this year will see 800 airplane deliveries which will be an increase of 11%. Last year the plane maker saw a gain of 8% while in 2016 the annual gain was 4%. Last year Boeing delivered 763 planes while Airbus delivered 718. 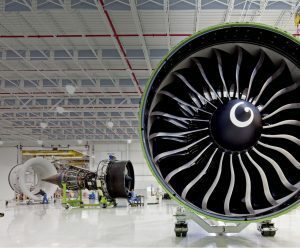 The chief operating officer of Boeing also said that he was confident that Pratt & Whitney, an engine maker, would overcome previous delays and maintain aircraft production plans. This comes in the wake of Airbus warning that the production of A380 double-decker jet might have to be shut down as there haven’t been any new orders in the last two years. Two months ago Airbus had been expecting to get a massive order from Emirates, the main client, but the Gulf-based airline instead ordered 40 Boeing Dreamliners. “We are still talking to Emirates, but honestly … if we can’t work out a deal with Emirates there is no choice but to shut down the programme,” said John Leahy, the sales director of Airbus. The A380 has a seating capacity of 853 and the superjumbo jet was introduced at a time when Boeing was making a bet on Dreamliner which is more efficient and can tackle both long-distance and medium-distance flights. One disadvantage with the A380 is that airlines have to ensure each flight is fully booked in order to operate profitably. The 2018 list price for the A380 is $446 million. By the end of last month 317 orders of the plane had been made from 18 airlines and 222 of those orders have been delivered. The last order was made by ANA of Japan, which wanted three jets. Before that the last order had been made by Emirates in 2013 when it ordered 50 jets. In order to ensure viability of the program, Airbus needs to build a minimum of six A380s. Last year Airbus delivered 12 A380s a decline from the 27 jets that were delivered in 2015.